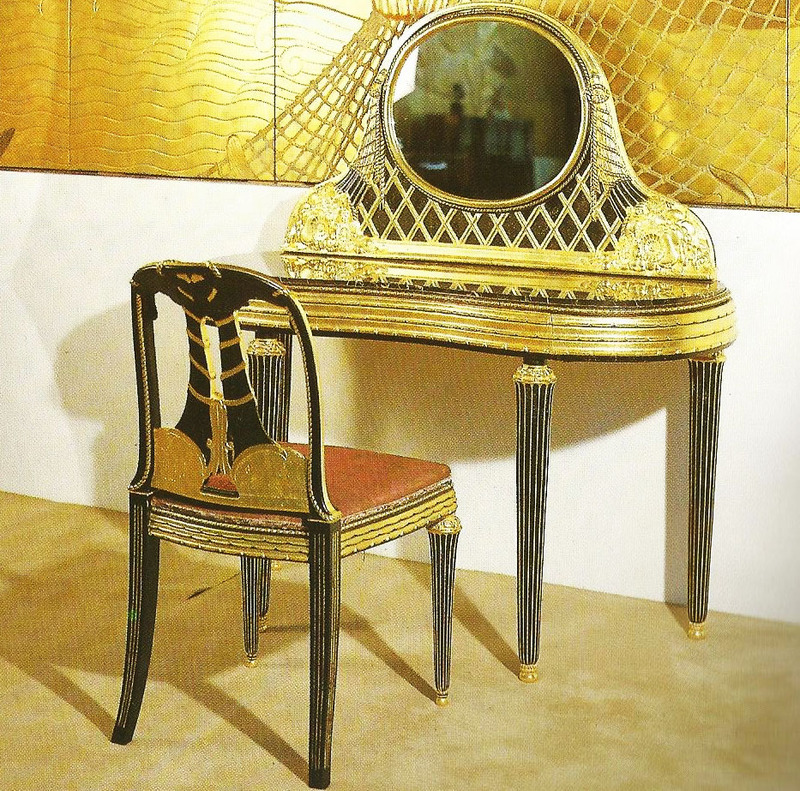 Paul Follot was a French designer of luxury furniture and decorative art objects before World War I. He was one of the leaders of the Art Deco movement, and had huge influence in France and elsewhere. After the war he became head of the Pomone decorative art workshop of Le Bon Marché department store, making affordable but still elegant and high-quality work. Paul Follot's early designs reflect the Gothic Revival, with foliate motifs. Follot acquired a taste for wooden motifs and carvings from Grasset. The stylized motifs of baskets of fruit or of flowers were typically carved from solid wood by Laurent Malclès. Follot made well- upholstered pieces in gently curved and ornamented giltwood frames. He liked using rare materials, with inlays of contrasting colors and gilded bronze friezes. After 1910 Follot's designs became quieter and more classical as his style evolved towards Art Deco. Follot was an Art Deco "purist", and saw his work as refinement of classical French design.